When we moved to Texas in 2008, Islander’s brother, Kahuna, gave us a warm welcome with a cold treat, agua fresca (“fresh water”) at a local frutería (Mexican vendor specializing in fresh fruit cups and juices). We ate an authentic Mexican (not Tex-Mex) meal there and drank a Latin libation of naturally sweet pulpy fruit water (agua de fruta). 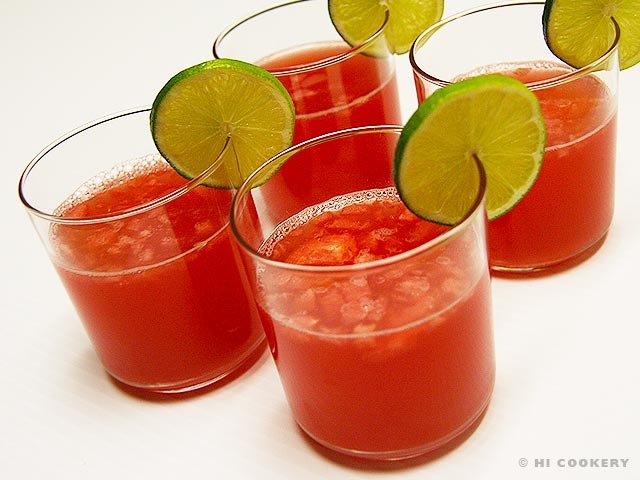 Agua fresca or agua de fruta is a very refreshing and healthy alternative to sugary sodas or caloric cocktails in the summertime. Out of all the varieties of aguas frescas, agua de sandía (watermelon) has the most powerful source of antioxidants and vitamins. When agua de sandía was served at Kahuna’s birthday dinner this year, Islander asked the Mexican cooks how to make it at home. Their version is measured “to taste” so the water and sweetener in this blog recipe post may be adjusted accordingly. Instead of going to a frutería, we now prepare agua de sandía in our own kitchen to cool off during a hot Texas summer and to celebrate National Watermelon Day. 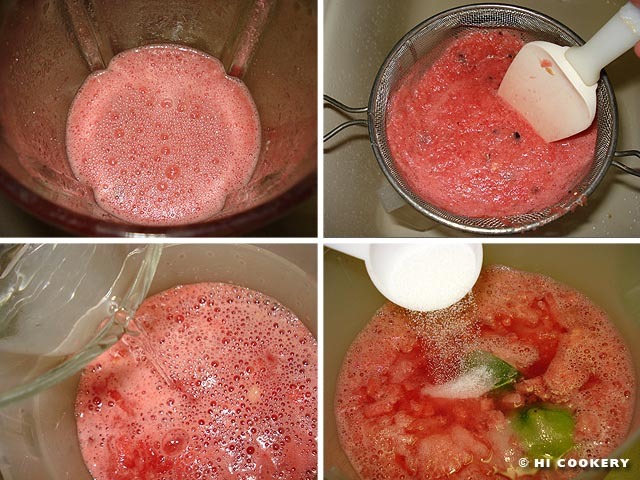 Finely chop two cups of watermelon, discarding the seeds. Set aside. Chop about four to six cups of watermelon. Put in a blender and process until it is liquefied. Strain out the seeds and remaining solid fruit over a pitcher. Pour cold water in the pitcher. 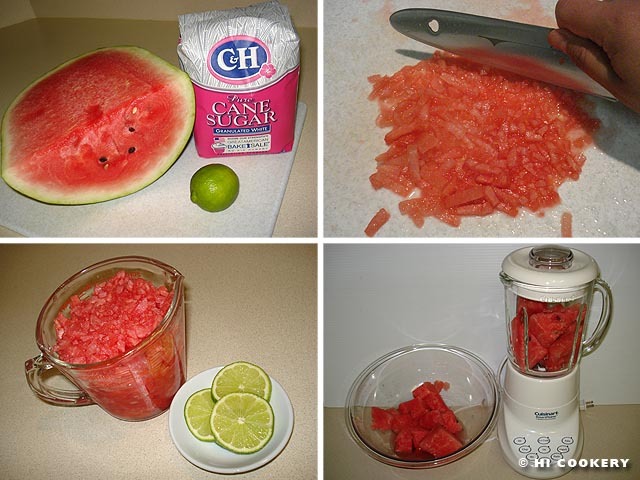 Mix in the minced watermelon. Squeeze the juice of one lime into the pitcher. Add sugar and stir well until it is dissolved. Refrigerate for at least an hour to allow the flavors to blend. Serve chilled with a slice of lime as a garnish. Read more about the health benefits of watermelon from NaturalFoodBenefits.com.